If you are like many of us, you spend more time than you would like nagging your kids to put down the electronic devices and go outside. I am not sure exactly when I became my parents but it definitely happened. Electronic devices can be a lifesaver for parents needing a mental break and they are a fact of life for teenagers nowadays. That being said, however, I still believe in the benefits of being outside and I am struggling to get the kids to believe that as well. Sometimes a cool new toy can be just the thing to get them excited about the great outdoors, whether on a camping trip or just fun in your backyard. Here are some of our best ideas, conveniently in time for the holidays. I can personally vouch for this being fun and being a great gift idea for the entire family. It is difficult to master but in a good, challenging kind of way. The kids love practicing on it and all you need are two trees. It is not just for your house either. I saw a kid set one up at a campground during an extended stay and he was quickly the most popular kid there. Fun on the Slackline in the backyard. Macaco Slackline Complete Set 52'x 2" (16 Metre) and Booklet, Super Strong Ratchet With Grip, Tree Protectors and Cotton Bag. Very Easy To Set Up. These hammocks are all the rage and for good reason. They are easy to set up and kids love hanging out in them. To be fair, I also love hanging out in mine. In fact, one of the main reasons I bought the kids a hammock was so I could get mine back. These hammocks are small enough and light enough to take campingString one up in your backyard, and it is a perfect reading nook. Or if you can’t get that teenager off the phone, they can at least continue with their Snapchat outside. It’s a win. * My two cents: If you go with a knockoff version, which are significantly cheaper than an ENO and work just as well, invest in the ENO straps. They are well made and easily adjustable to several lengths. The straps that come with the less expensive hammocks often require that you find two trees a precise distance apart. Also, get a large, or double nest hammock. It is more comfortable for full- size adults and easier for kids to pile in with their friends. This might seem like a huge investment but bear with me and you’ll see why I think it is worth it. Kids love paddleboarding and kayaking. Getting out on a river to explore or just taking them out on a lake and jumping off to swim is always a crowd-pleaser. Kids that groan at the thought of hiking or biking will grin at the thought of an afternoon on the water. Especially on summer afternoons when it is too hot to do anything else, you will appreciate having a kayak or paddleboard around to entice them outside. If you don’t have the storage for a hard version, look for an inflatable kayak or paddleboard. My niece and her friends on the Tennessee River during a sunset kayak excursion, proving that you can get tweens off their phones. Another “kids” toy that adults will have just as much fun on. Think of it as a stand-up swing that gives you a good core workout. You will need a tree with a fairly large branch or you can hang the Swurfer between two trees on a cable. It can also hang under a tall deck. Installation isn’t difficult and everybody will want to play, which makes it a pretty good gift in my book. Also a handy gift for the grown- up that's actually just a kid masquerading as an adult. You know exactly who I mean. It may look like just a swing but it is so much more fun. 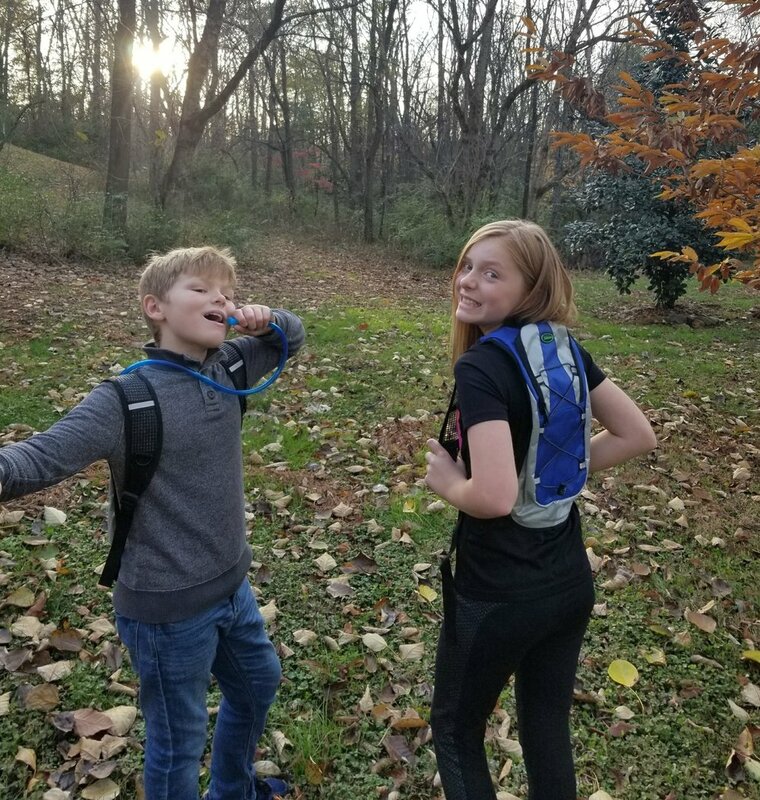 I have found that the key to getting the kids to drink enough water on hikes and bike rides is a hydration pack. I have also found that an increase in hydration leads to a decrease in whining. Put those two facts together and that's why we invested in backpacks for each of them. The kids really like drinking out of the tube, and I really like that they can carry their own stuff. They enjoy being in control of their own gear as well. We bought cheap backpacks from Amazon that have done the trick well. Although they really only hold the water, some granola bars, and a light rain jacket, that’s perfect for day hikes. I like the pack so much that I use it when mountain biking. The kids demonstrating their hydration packs. This solar-powered inflatable light is a great stocking stuffer. It works fantastically well and is waterproof, making it a valuable addition to your kayak/ paddleboard for nighttime adventures. The kids love taking the lights camping to hang in their tents and they are bright enough to play cards by. They are fun even just to use in the backyard telling ghost stories. It takes a few hours in sunlight to charge completely but they hold the charge for months. The light lasts for several hours at high power. 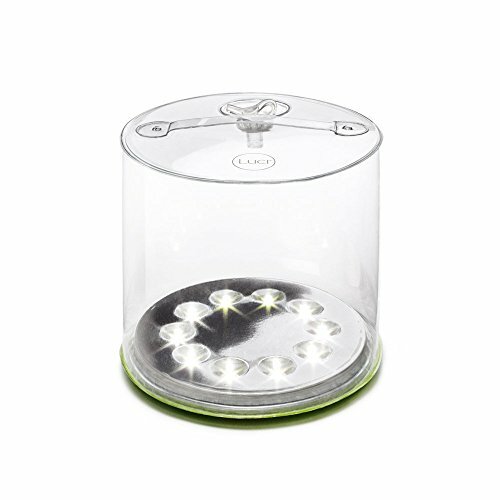 If you go to their website, you can purchase a STEM- inspired Build Your Own Light that helps teach kids how solar power works. Reading by the light of a Luci light in the tent. Wiggle away with the Yvolution Y Fliker A1 Air Kids Scooter. This 3-wheeled scooter is completely kid-powered. All you have to do is move your hips from side to side and get going. It’s a lot of fun and best suited for a flat, smooth surface. The kiddos love it! Y Fliker offers several different scooters for both younger kids and older. See their comparison guide to find the right one for your child. I hope these ideas help you out this holiday season and make your life a little easier. We could all use that at this time of year!